in small, personal, friendly groups. Prices are inclusive, so there's no additional sales tax, credit card charges, service charges, or or charges use of on-site facilities including WIFI. Gratuities are entirely at your own discretion - never assumed, always appreciated. Prices are subject to change without notice (gotta love the Government and the banks) but we apply the prices valid when you confirm your booking. Yup, we have small print – check it out to avoid surprises of the wrong kind for you or our other divers. We’re a small, busy team and can fill up months in advance, so reservations are recommended - ahead of time! Check out the latest The Dive Bus Blog for offers, promotions and / or specials, changes to opening days / hours during holidays and the latest goings on and comings up. All PADI required teaching materials for your course, such as course manuals. Yours to keep forever. All the PADI required dive equipment you'll need for your course. As Curacao's first and only Project AWARE 100% AWARE dive operator you'll receive a very cool Project AWARE limited edition certification card and we make a donation to Project AWARE on your behalf. 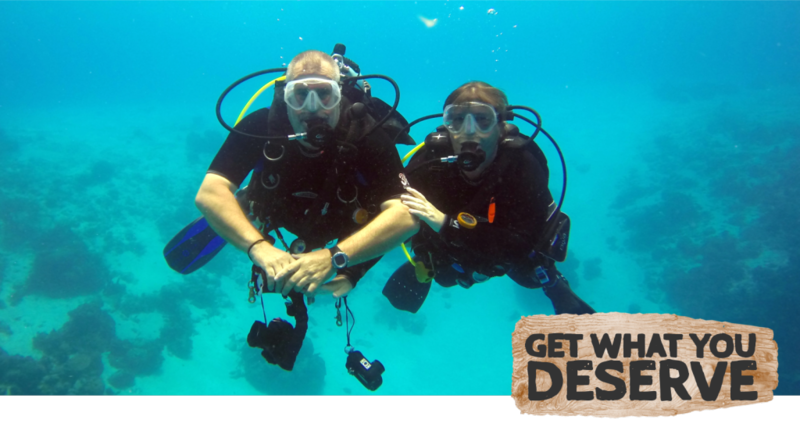 Fun guided dives, indie dives + multiple day Dive Packages, for current, certified divers. PADI dive courses and classes for all occasions and levels, from beginner to Pro.